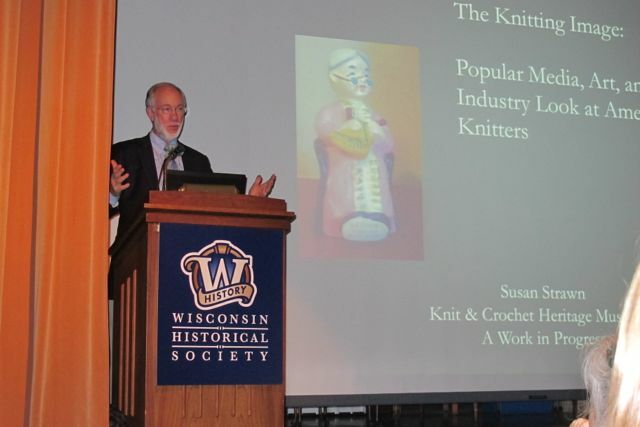 Dear Fellow Knitters and Crocheters: The Wisconsin Historical Society and the Yarn Group of TNNA have enabled us to hold an historic and important gathering to explore the why’s and wherefore’s of creating a place to preserve knitters’ and crocheters’ heritage and legacy. I met with the first person to register for the event, KristiKnitz (as she is known on Ravelry). When I asked Kristi why she cared enough to commit, her spontaneously eloquent answer blew me away. She graciously wrote down her thoughts so that I can share it with you on my blog. We both hope it will persuade you to sign up for the museum creation team, by registering for the Symposium and take hold of this once-in-a-generation opportunity. I’d like to encourage all knitters and crocheters to consider attending the upcoming symposium on establishing a knitting museum. Maybe you’ve thought it sounded interesting, but didn’t think you fit into any of the groups it’s intended for…curators, scholars, etc. But as a passionate practitioner of knitting and/or crochet, your interest and input will be valuable. Knitting and crochet have been used around the world, in practically every culture, to make items that are useful, culturally significant, and beautiful. There are prestigious and carefully-preserved collections of knit and crochet items and patterns in several major museums. But in every case knitting and crochet are presented as part of a larger topic, such as textile manufacture, or cultural symbolism and motifs. 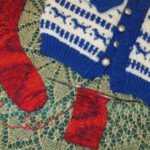 We really need a place to look at all facets of knitting and crochet as a whole, from the crofters on the Shetland Islands knitting gloves for pennies a piece, to modern works of free-standing art, and especially as the hobby and obsession of literally millions of passionate practitioners just like us. Thanks Kristi, it is so helpful to hear someone else spin the message. Here is the link to register, and get more details. See you Nov. 8-10 at the Wisconsin Historical Society, in Madison to begin to make our vision a reality! Update on domain name search: Still haven’t bought the domain name. Two opposing camps: Acronym fans favor KACHM – others think i should spell it out: KnitandCrochetHeritageProject. And just to “keep us in stitches” <groan> our logo designer thinks that Hookandneedleheritage.org would give the movement street cred. I am not yet persuaded . . . .